Rising water costs and the demand for improved watering efficiency is prompting property owners to call their landscape contractor. Fortunately advancements in irrigation technology make it possible for them do take steps to reduce water waste. 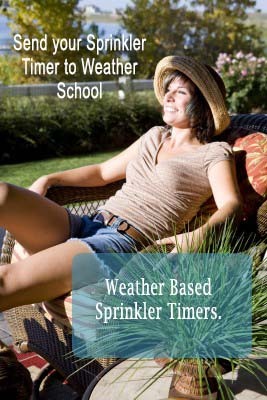 New and improved sprinkler heads water more evenly to eliminate dry spots and reduce run-off. More effective pressure regulation minimizes drifting water. Smart controllers automate watering schedules so plants are watered when they need it. Contractors have the tools do improve efficiency and property owners benefit by reducing water waste. Today's advanced technology is creating a win-win scenario, service provided by contractors are paid through rebates and reduced water use. The return of investment for most property owners is less than three years; we even have seen some properties with an ROI of less than a year. Landscape Contractors – There is a growing business opportunity in updating sprinkler systems. Customer proposals are more than just a quick system tune-up, they should include all aspects of improving water management efficiency: 1) Sprinkler system improvements to minimize waste by delivering water evenly and where it is needed. 2) Refining the base watering schedule that combines the capabilities of the sprinkler system with the terrain. 3) Automating the watering schedule with smart control products that react to changing weather conditions. Property Owners / Managers – Today’s irrigation contractors have many new resources to improve water use efficiency. Outdated systems should be tuned up with better sprinklers, water pressure regulators and weather-based automated control. Your investment to improve water use efficiency will reduce water use while improving landscape health. With rising water rates, you can still reduce your water bill because efficiency improvements more than offset rising water rates. Many of the contractors we work with are typically seeing 30% to 50% reductions in water use. As a smart irrigation control manufacturer we are seeing a fast growing trend to move beyond traditional water management practices. Contractors and property managers are taking advantage of new technologies to save money and reduce water use while improving the lands health.